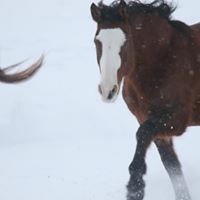 With pleading Facebook fundraisers hitting our social media feeds every day illustrated with the tragic photographs of horses needing rescue from feedlots and kill pens it is easy to forget where a lot of those horses end up and that they need aftercare and rehab donations. Sanctuaries like Skydog have the responsibility to provide care and refuge forever for the horses we take in. 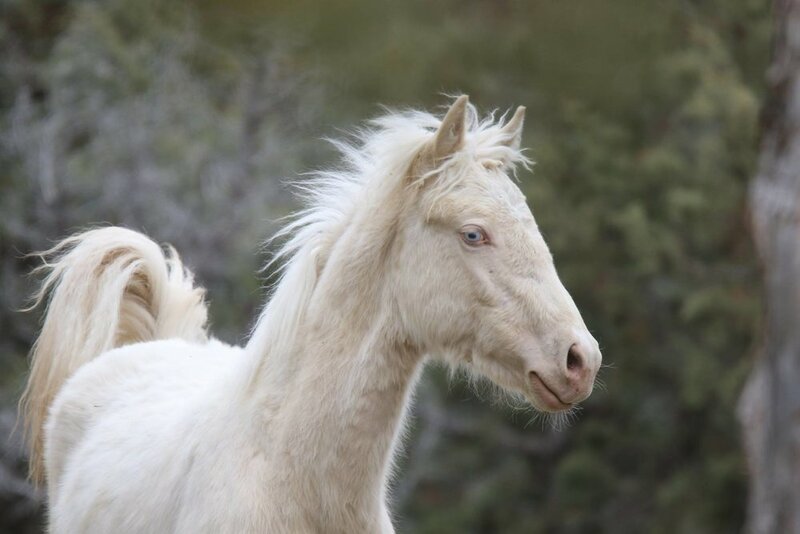 It is solely with the help of amazing donors that Skydog Sanctuary is able to give a safe and loving home to these beautiful wild horses and burros who were first ripped from their homes, separated from their families and then ended up in terrible situations from which they were rescued. 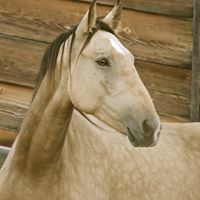 Skydog has always done our best to reunite family bands, adopt mares and foals together, or bring back bonded horses who were separated from their friends of many years. Many of the wild horses and burros here are in their senior years and our "special needs and feeds" population keeps growing! As the horses age we work alongside our vet team to provide first class preventative care (dental, worming, supplements) so the horses have quality of life and live into their 30's as they would in the wild. You can help Skydog Sanctuary provide medical and on-going special care! When we moved up to Oregon we thought it was a great decision due to the fact that hay is so much cheaper as it is grown all around the ranch and our nearest town is actually named Alfalfa ! One thing we did not realise is that we would have to feed triple the amount during the winter due to the extreme cold temperatures overnight. Sometimes it is as low as minus 20 so the horses need something to chew on all night to keep their body temperatures up so they won't shiver and start losing weight. We have a great local blue grass that we thrown now during winter months which is much cheaper than orchard hay or alfalfa - we can buy that for 115 dollars a ton and we have the opportunity to buy 90 tons of that right now. Please help us fill our huge hay sheds for winter. We don't want to have to buy hay in winter as it is more expensive and very difficult to truck in with thick snow. With over 50 mouths to feed every day, Skydog Sanctuary relies on support from the public. Our monthly donation program allows you to sign up to make an automatic monthly contribution. Once you sign up you don’t have to think about it again. Each month we’ll automatically bill your debit or credit card for the amount that you specify. By signing up for monthly contributions you give us a source of income we can count on each month to help us feed and care for our equine residents. 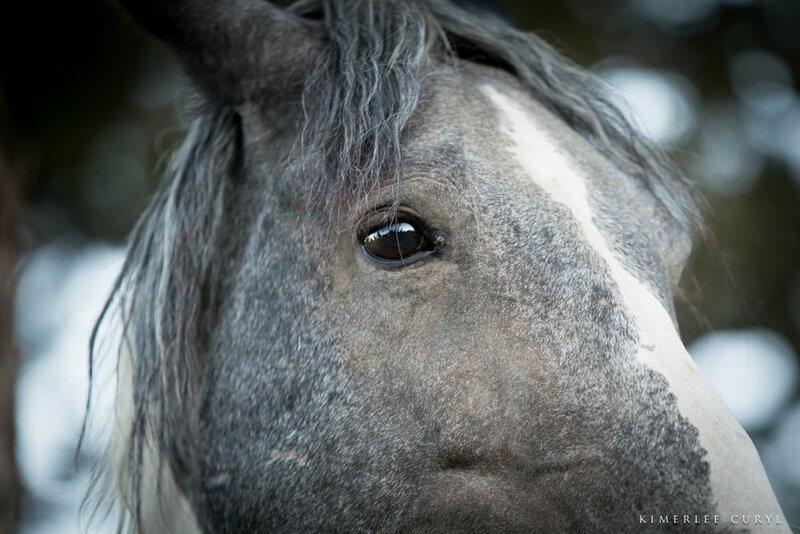 By sponsoring a mustang you can ensure that your chosen horse will be supported, and Skydog can become home to many more Mustangs in danger. Annual sponsorship for a horse of your choice is 500 dollars and for that you can visit us and meet the horse you are sponsoring and spend some time hanging out with them, taking photographs and asking questions of our staff. 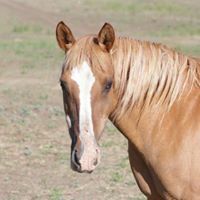 READ has been with us for 12 months and is already a favorite with our followers some of which alerted us to his presence in a kill pen in Oklahoma. Read has one of the worst halter injuries we have ever seen. His nasal passages are completely open to the elements and he has two large holes in his face. 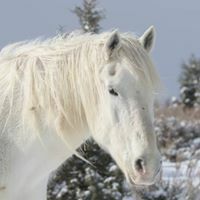 If you sponsor this special horse you will get a monthly email about him with photographs and news of him as well as a VIP tour of Skydog with one of our great members of staff to answer questions about him and to meet him in person. Ireland was found in Fallon feedlot said to be heavily pregnant. We found a private buyer for her which fell through at the last minute so we fundraised to save her and bring her to Skydog. Her best friend that she was rounded up with as a foal LUNA was rescued by another organisation who then deemed her unfit for adoption so we took her too and reinited them forever. To donate for Ireland or Luna please press the button below and receive monthly newsletters about her as well as photographs never posted of her. Ireland is 500 dollars annually to feed. You can sponsor Aerial and foal Whisper, Goldie and foal Mariah, Priscilla and her foal Dalton. Winter and her foals Blizzard and Wilder with Sooty and her foal Sheldon were saved as part of the biggest horse rescue in US history when over 900 horses were rescued from a failed sanctuary ISPMB in South Dakota. These mustangs were wormy, starving, their feet needed care and attention and all the mares were pregnant as they had been exposed to stallions for all their lives. They need ongoing care and attention and extra food and shots for their babies. To sponsor any of our mair foal pairs please donate 500 dollars annually and you will get a VIP visit to Skydog to meet your horses and spend time being around them and getting to know them. 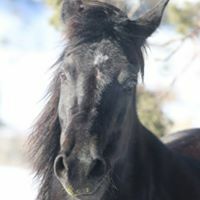 Lady Jade was adopted from the BLM Burns to promote adoptions from the corrals and be an ambassador for all the other thousands of mustangs left in holding. She is such a beautiful filly and shows our followers just how incredbly calm and gentle and friendly these wild horses can be even though they are essentially wild horses. 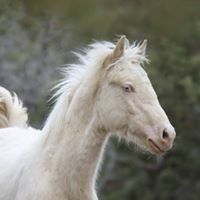 We intend to take Lady Jade to events and she will shine a light on the fate awaiting mustangs all over america and hopefully bring awareness and educate people to the mustang issues and keep more on the range where they belong. To sponsor her of any of the yearlings annually please donate 250 dollars for their care.